Whether it’s for work or leisure, these days, people want a more personalized and streamlined experience when booking and managing travel. With this in mind, businesses in the travel industry are now turning to artificial intelligence (AI) to not only improve their efficiency but to offer more individualized services to their customer base. Below, I’ll share 5 ways AI is improving the travel industry and easing the pains of millions of travelers in the process. Much like online retailers, online travel agencies (OTAs) are now using the data they collect from their clients’ activities on their site to offer better recommendations. Many travel sites, for instance, offer bundled planning, i.e. they allow customers to book hotels and flights at the same time. 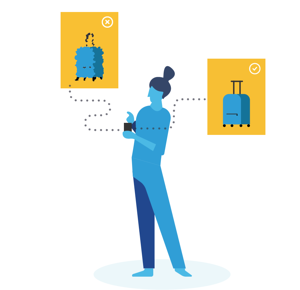 Using AI, these companies can personalize this travel planning experience according to the tastes of each customer. AI looks at, analyzes, and learns from previous reservations made by the customer and use that knowledge to make relevant suggestions on everything like the best flights, hotels, car rental services, and even destinations for their next trip. 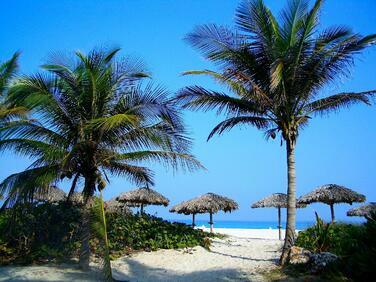 Understanding the traveler experience at a destination or attraction is key for travel brands. However, as many researchers and marketers know, getting people to take the time to fill out a survey can be difficult unless someone has a complaint or they are offered some type of reward. As such, many travel companies are now using conversational surveys, conducted by chatbots, to offer customers a more engaging survey experience. 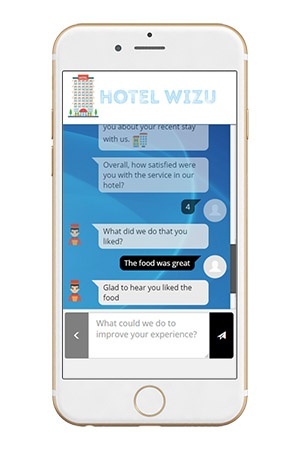 Using natural language processing (NLP), apps like Wizu use chatbots that can interpret the customers’ language to gain insights into their feelings, positive and negative, and adapt to conversations in real time. So if a customer expresses dissatisfaction about their stay at a hotel, the chatbot can follow up with valuable open-ended questions such as the cause of their dissatisfaction (e.g. they did not sleep well), and allow them to get more specific about the problem. and offer compensation accordingly simultaneous. For many OTAs, having high-quality images has been shown to increase conversion rates. As such, it is important for the images on their site to meet that standard. However, they often rely on vendors and customers to upload photos of their hotels and other offerings to the platform. This, in turn, increases the risk of subpar listings or inappropriate user-generated content (UGC) crowding the site, making reputable listings and helpful UGC harder for customers to find. With AI, specifically computer vision, these OTAs can now quickly and effectively moderate the uploads they receive. Now, only the images that meet expectations actually make it to the customers’ screens, giving customers a far better experience. Computer vision also helps to improve search by allowing travel businesses that list on OTAs to optimize the tags on their listings. A hotel, for instance, may tag their property as having “oceanfront” rooms, while a traveler may search for “beach view." A missing tag can often result in lost business. Computer vision allows computers to see what is in an image and apply every relevant tag it has been trained to learn, so the listing can be found no matter how it is described by either the hotel or the customer. In today’s world, business travel is often integral to success. Now, with AI, companies like TravelBank are helping their clients easily manage these trips. With their solutions, businesses can create budgets based on real-time predicted prices and even incentivize their busy employees to find and choose the most cost-effective options for lodging and transportation. The app also uses machine learning to learn a user’s preferences so it can make better recommendations on things like flight times or wifi, even where they themselves do not manage the booking. Thanks to AI, travel management is now optimized and cost-effective, allowing companies to better take advantage of opportunities across the world. AI has been shown to positively impact the customer experience, increase revenue and offer serious returns across industries. Once businesses decide on which approach to investing in it is right for them, they will join the score of other companies using this impactful technology to change and improve the world.